Prominent & Leading Exporter from Indore, we offer flannel receiving blankets, printed flannel receiving blankets and receiving blankets. Keeping in mind the vast requirement of our clients we are engaged in manufacturing and supplying a wide range of Flannel Receiving Blankets. These products are available in market at economical rates. 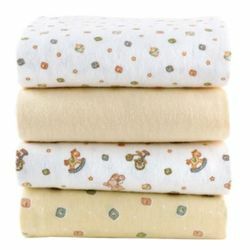 Our company has managed to carve a niche in the market for the manufacture, export and the supply of a wide range of Printed Flannel Receiving Blankets which have been made using a high quality of raw materials which have been procured from well known vendors in the market and they have been priced at very reasonable rates in the market. These products are used for protecting people from cold and they offer a high performance to the customers in the market. The range of products which we offer to the customers are inclusive of a high quality of Receiving Blankets which have been made using a high quality of raw materials which have been bought from well known vendors in the market and they are high on demand in the market. These products offer a high performance to the customers are they are used for getting protection from the cold. They are high on demand in the market and they have been made with a fine finishing. 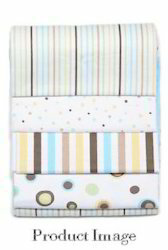 Looking for Flannel Blankets ?